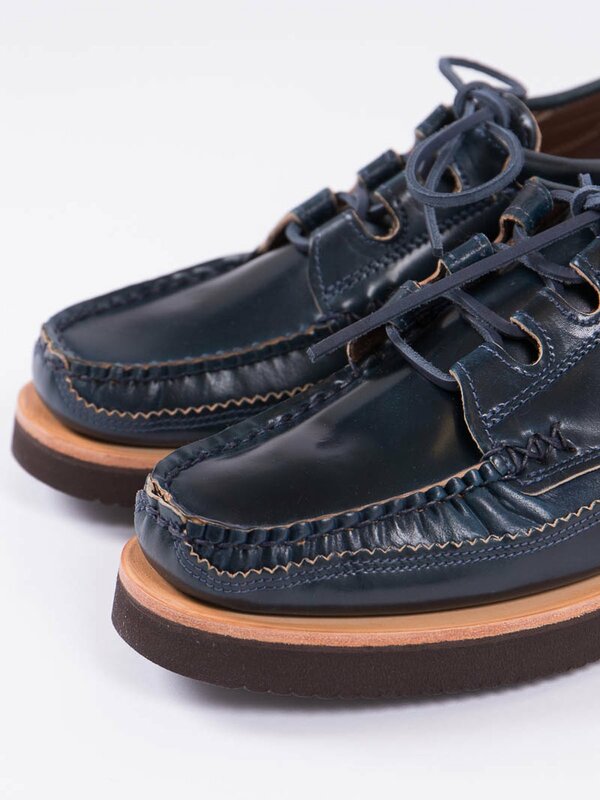 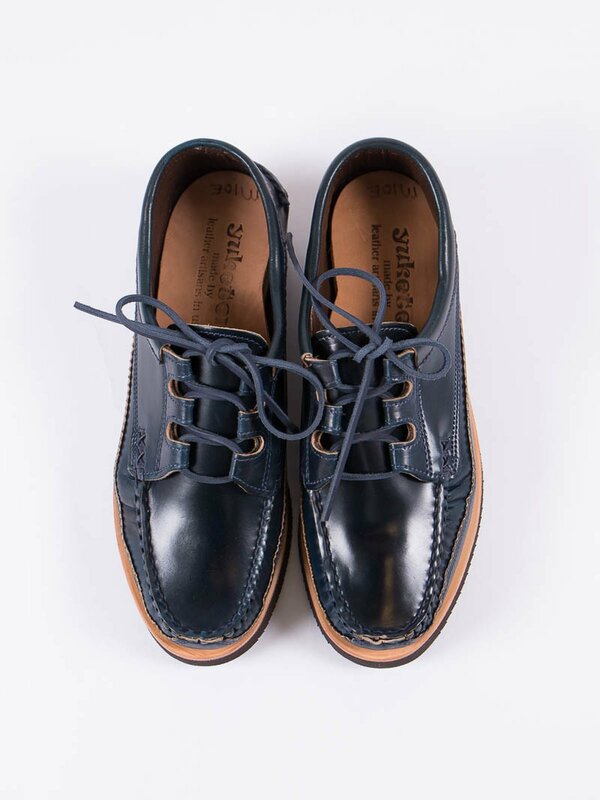 Navy Cordovan Ghillie Moc DB Shoe. 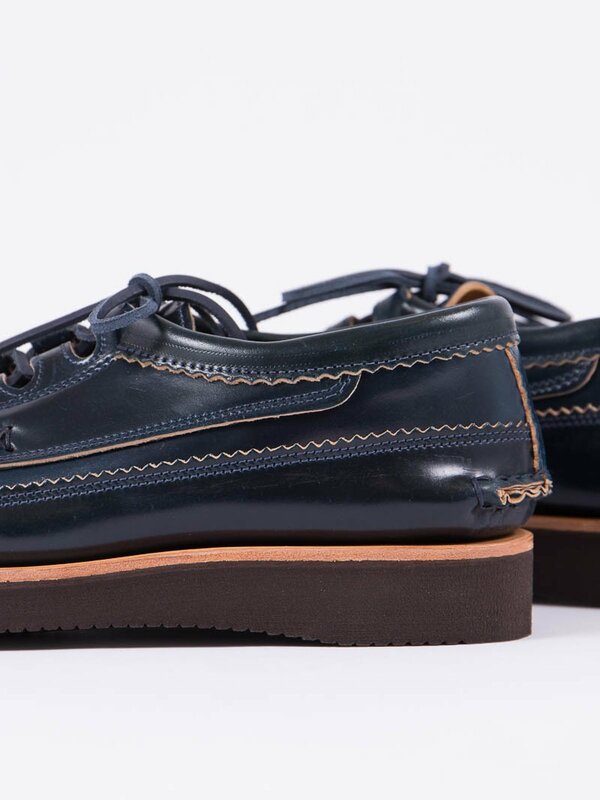 Made exclusively for The Bureau Belfast. 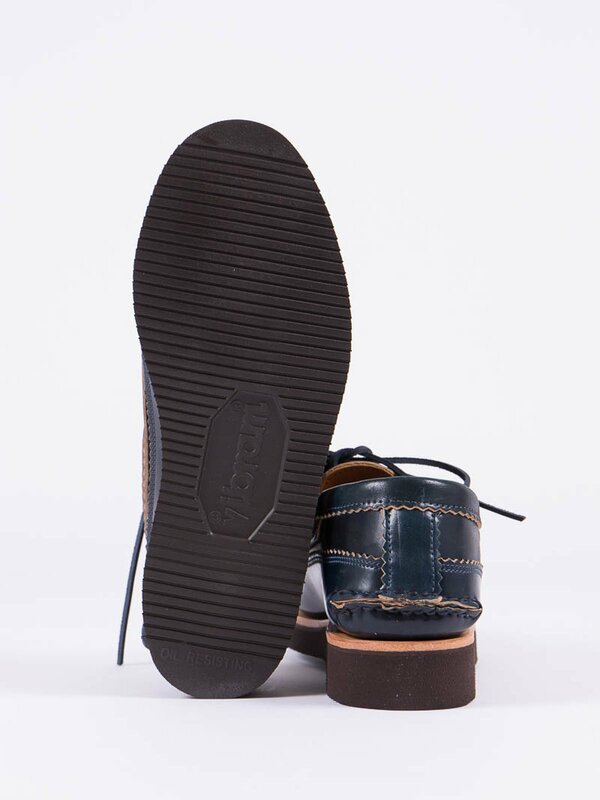 Horween cordovan leather upper which is hand–sewn and hand–punched with awl, needle and thread, genuine moccasin construction, ghillie lacing inspired by Irish dance shoes, full leather insoles and a brown Vibram 2021 outsole.